Background: The patient package inserts (PPIs), which contain the necessary information about medications intended for patients, need to be expressed in a clear language comprehensible to everyone. Objective: This study aimed to evaluate the readability and understandability of the drug package inserts for the inexpert people. Methods: The readability of the 158 PPIs of the 33 drugs, registered and manufactured in Iran, was calculated. The main criterion for selecting PPIs to include in this study was of those top-selling drugs during the year 2015 according to the Social Security Organization in Iran. The PPIs were collected from the pharmacies of the three major cities, namely, Tabriz, Ardabil and Meshgin Shahr. Then, using the Flesch–Dayani readability (FDR) tool adjusted for the Persian language, the average number of the words and syllables was counted to calculate and grade the readability score of the selected PPIs. Results: This study showed that the average FDR readability score for all the 33 drugs is 52.52, which are graded 10th–11th. Of the PPIs, 70.89% were difficult to read, and on average, the readability of the PPIs was five times difficult than the standard ones. Only 13.92% PPIs were suitable for the 5th–7th grade, and 15.19% of the package inserts ranked in the 8th–9th reading grade. Conclusion: A considerable number of the PPIs in Iran have low readability level and were not suitable for the inexpert readers. Since the treatment cost is very high, people tend to use medications arbitrarily or simply use old prescriptions. This study suggests the necessity of a major improvement in the readability level of the PPIs in order to ensure the usefulness of the PPIs to the majority of the consumers. The results of the studies show that the package leaflets for the prescription medicines are difficult to read, difficult to understand and even they sometimes confuse and make the patients hesitant to act.8 Despite the emphasis on the fact that the patients have the right to receive the medical information in a simple language, it is unclear to what extent the PPIs have taken into consideration this issue. The preliminary literature review has revealed that there is a research gap regarding the evaluation of the PPIs and the pharmaceutical brochures in Iran; the only evaluation done before was on the Iranian pamphlets about the patient educational leaflets in a hospital setting.10 To fill this research gap, the preset study aimed at evaluating the reading ease of the PPIs of the top-selling medications in Iran. This cross-sectional study was carried out to assess the readability of the PPIs of the top-selling medications from March 2015 to September 2015 according to the Social Security Organization in Iran. The criteria for selecting the drugs were as follows: 1) being available in a solid form; 2) being registered in the drug generic of the Iran Food and Drug Administration (IRFDA); 3) being listed as one of the top-selling drugs according to the Social Security Organization and 4) being available in the local markets/pharmacies. The PPIs were gathered from the pharmacies of the three big cities: Tabriz, Ardabil and Meshgin Shahr during November 1, 2015, and March 30, 2015 (Table S1). A total number of 158 PPIs for 33 top-selling drugs were collected and assessed to provide readability score (Table S2).The PPIs belonged to 43 pharmaceutical manufacturers (names are kept confidential) and 11 treatment groups (Table S3). Among the various readability measures, the Flesch formula is one of the reliable and most used indicators for grading the reading levels. This study used the Flesch–Dayani indicator,15 the Flesch’s Persian-adjusted version, for measuring and ranking the readability of the texts. According to the FDRE formula, a proper text should contain shorter sentences, fewer words and shorter syllables. The score between 60 and 70 is considered as “standard” and scores ≥70 rank as “fairly easy” to “very easy”.16 The Flesch reading ease table shows the description of the scores based on the Flesch reading ease assessment. 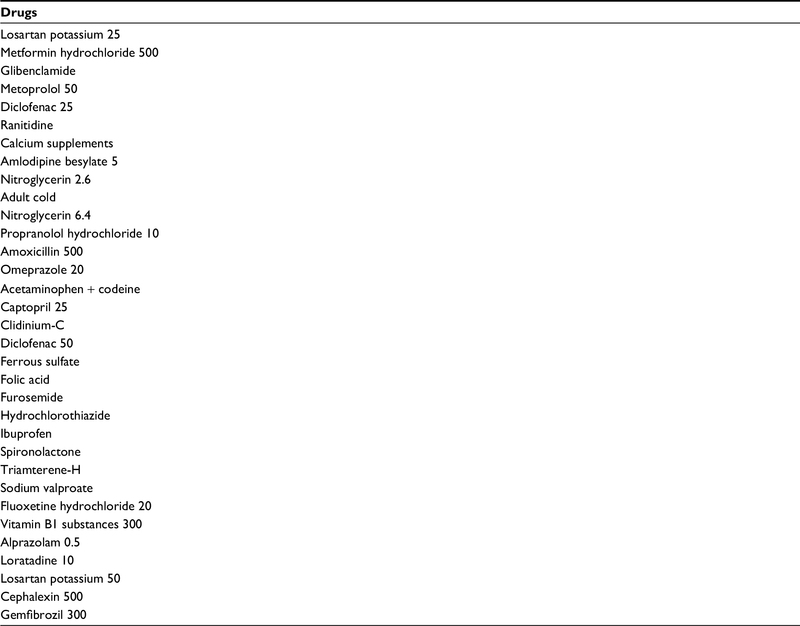 The results of the calculations were compared to the table of readability (Table S4). The average score was calculated to find the readability of the PPIs in the treatment/medication groups and a single medication from the others. The data obtained were subject to analysis using the Microsoft Office Excel 2010. The average, maximum and minimum readability scores were gained to be reported. This study is approved by the ethics committee of Research Department with the reference number TBZMED.REC.1394.140. The research shows that the average Flesch–Dayani readability (FDR) score for all the 33 top-selling drugs is 52.5, which are graded from 10th to 11th level of reading (Table 1). Approximately 70.9% of the PPIs had a reading difficulty, ranging from fairly difficult to very difficult, based on the Flesch reading ease formula. Only 13.9% of the PPIs were suitable for the 5th–7th grade, and 15.2% of the PPIs were graded in the 8th–9th reading level (Table 2). There was no consistency in the readability level of either a same drug with various PPIs or all drugs of a specific factory. 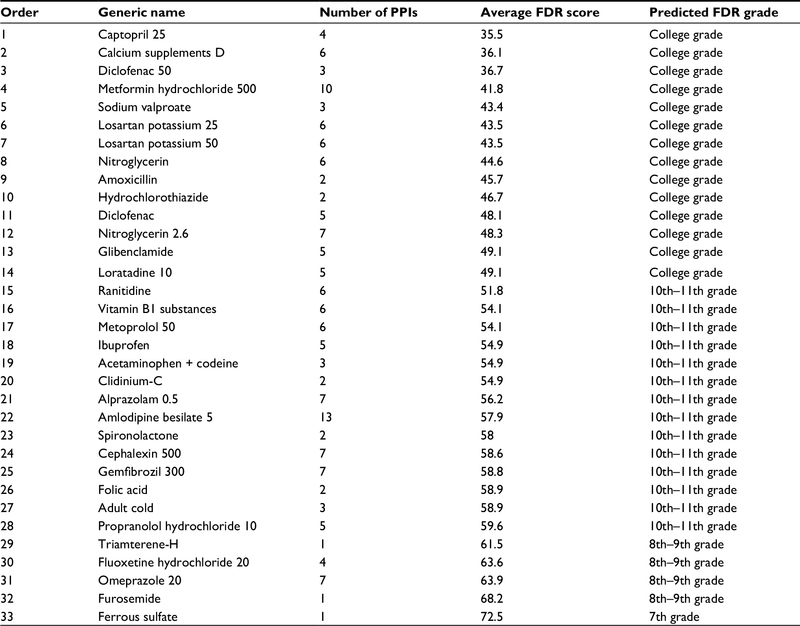 Among all the 158 PPIs, the most readable PPIs belonged to calcium D (FDR = 97.9) and the most difficult PPIs also belonged to calcium D (FDR = 7.34) (Table S2). Notes: N = 33. Average = 52.5. Maximum = 72.5. Minimum = 35.5. Abbreviations: FDR, Flesch–Dayani readability; PPI, patient package insert. Abbreviation: PPI, patient package insert. Evaluation based on the order of the generic name of the drugs showed that, on average, the ferrous sulfate with only one PPI and the readability score of FDR = 72.5 had the maximum reading ease among the 33 drugs and the captopril with totally three PPIs and the average score of FDR = 35.5 had the minimum readability score (Table 1). However, the groupwise classification of the reading ease scores showed that the PPIs in the medication group of “Nutrition and Vitamins” with the average score of FDR = 61.8 were the easiest to read among the other pharmaceutical brochures. The PPIs of the medications in the group of antiepileptics with the average FDR = 43.4, antidiabetics with the FDR = 45.4 and antihistamines with the FDR = 49.1 were ranked as the most difficult to read groups of the medications. None of the PPIs with the groupwise classification met the standard level, i.e., grade 5 or 6 (Table 3). To conclude, only five (3.2%) PPIs contained an easy to read and understandable package insert, suitable for the grade 5 or 6, which not necessarily we should consider them as a group of drugs (Table 2). Meanwhile, the average reading ease of the group of the medicines titled “Nutritional agent and Vitamins” with the FDR = 61.8 (Table 3) and a grade = 8–9 was ranked as the standard one (Table S4). The study also pointed out a deviation on the readability level among the pharmaceutical brochures of the studied factories (Table S2). The PPIs are the first and the most available source of information for the patients who take the medications. The readable and understandable PPIs positively enhance the patients’ knowledge and consequently help the correct use of the medications. This study evaluated the readability of the PPIs for the top-selling drugs in Iran. This was the first study of this sort to assess the readability of the package inserts in Iran. This study revealed that there is no consistency in the readability of the PPIs for the prescribed and over-the-counter drugs in Iran. The readability degree for a medicine that is manufactured by different factories varies from each other, and also, all the medicines in a particular treatment group were different in terms of their level of readability. This study also found that neither the prescribed drugs in the specific treatment groups nor the PPIs of the over-the-counter drugs have been designed easy to understand or read. Whereas the recommended reading level for all the patient education materials is the 5th–6th reading grade, the average reading ease level for the Persian PPIs was scored 10th–11th, i.e., FDRE score of 52.5, which is almost five times lower (difficult) than the recommended one. The package inserts of the antidepressants followed by the nutritional agents and vitamins were the easiest comparing to other medications; however, they were graded 8th, which is two levels difficult than the standard level. 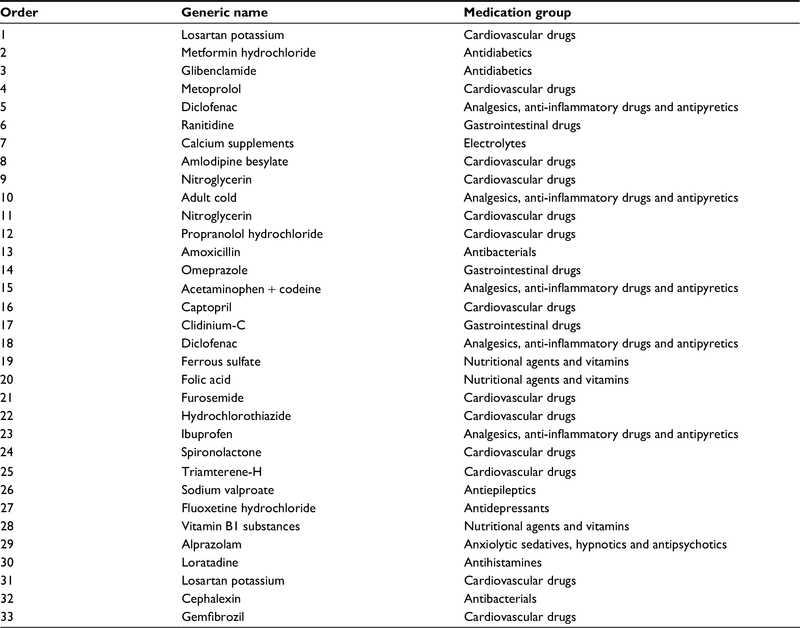 The language readability of the PPIs for the treatment of the chronic diseases, such as gastrointestinal, cardiovascular, antibacterial and anxiolytic sedatives, hypnotics and antipsychotics; anti-inflammatory drugs and antipyretics, was not suitable for the inexpert readers, while all of them are the medications listed not only as the top leading cause of death worldwide by World Health Organization (WHO)17 but also as the high-cost treatment diseases. People with such chronic diseases mostly tend to use the medications on their own in order to tackle the high treatment cost. NSAIDs are known as the most prescribed and most used drugs through the world, which are sold with or without a prescription in the pharmacies.19 The NSAIDs help to manage the pain and the inflammation, but they have side effects on the heart, hypertension, arthritis and digestive system. The evidence indicate that there is a significant connection between the NSAIDs and the heart attack even if they are used for a short period of time and in a minimum dosage.20 Therefore, in the present study, the guidelines for this group of the medications have been written with a fairly difficult, difficult and a very difficult level through the PPIs. It should be noted that the literacy and knowledge of the patients about the correct usage of the drugs and their feedback are vital in case of any side effect and a suspicious reaction. Therefore, it is necessary that the package inserts are written in simple language and meet the literacy needs of the public community. The latest clinical findings about a specific drug should be mentioned in the package inserts. The PPIs need to be inspected in certain intervals, for instance annually. It is suggested to add the latest discovered information leaflet to the medicine box/packs when they are delivered to the patients or when the prescription is booked in a pharmacy. Owing to some difficulties of the ever-changing nature of the up-to-date information about the medicines, adding a new copy of the PPI or information to the prescriptions of the patients might be a feasible solution. On average, the reading ease of the Iranian most prescribed and top-selling drugs was approximately five times difficult than the recommended readability score for the patients. The readability of the PPIs of the medicines was inconsistent from one drug to another, as well as from one factory to another. It means that there is no audit for the package inserts’ readability and content. This is the first study about the readability of the Iranian drugs’ PPI; however, Ahmadzadeh and Ahmadzadeh10 also studied the readability of the patient leaflets distributed in the hospitals and found that the majority of such information resources have been provided at the college level, based on the Flesh reading ease formula, and exceed the patients’ understandability and health literacy. In the USA also, study of ~63 PPIs showed that PPIs are provided higher than the recommended level in ~10th grade and need assessment and change.24 Earlier studies also suggested the same significant message that the readability of the PPIs are higher than the patients’ level of literacy.20 Charbonneau13 assessed the readability of the hormone therapy PPIs and found them to be higher than the patients’ health literacy level of US population. This research along with the previous researches points out that the most obvious right of the patients that is a proper access to the understandable medical information is overlooked in Iran, as well as the most part of the world, even in the developed countries. The readability level of a considerable number of the PPIs in Iran is poor for the inexpert people. There is no auditing carried out to make sure that the package inserts are readable and comprehensible, which in a way leads to the drug misuse among the people and provides opportunity for the medication trade under advertisement without evidence. Since the treatment cost is extremely high in Iran, the people tend to use the medications on their own or simply follow the old prescriptions. When the PPIs are poor in terms of their information and their readability, they will incline to use the inaccurate advertised drug information. To solve this problem, the Food and Drug Administration and the related organizations must intervene through the continuous assessment of PPIs for better readability and information content. The extension of the drug licenses for the pharmaceutical companies should be subject to the provision of the PPIs, considering the continuous control of the quality and easy to read contents of the PPIs. We thank all the pharmacy managers and pharmaceutical companies that helped us in collecting the package inserts. This study is funded by Tabriz University of Medical Sciences. The name of the drug manufacturing companies is kept confidential under the license of the research ethical committee of Tabriz University of Medical Sciences. Singh KR, Munshi R, Arora D. Assessment of the degree of awareness among physicians and patients about drug package inserts. Int J Pharm Sci Res. 2016;7(3):1338. Vander Stichele RH. Impact of written drug information in patient package inserts. Acceptance and benefit/risk perception. Gent. Academia Press Scientific Publishers. 2004. Dass AS, Sarala N, Bhuvana K. Analysis of package inserts of drugs utilized in a tertiary care hospital. J Young Pharm. 2016;8(3):275. Gupta V, Pathak S. Assessment of awareness and knowledge about package inserts amongst medical students: a questionnaire based study. IOSR J Pharm. 2012;2(2):215–217. Piñero-López MÁ, Modamio P, Lastra CF, Mariño EL. Readability assessment of package inserts of biological medicinal products from the European medicines agency website. Drug Saf. 2014;37(7):543–554. Ramdas D, Chakraborty A, Swaroop H, Faizan S, Kumar P, Srinivas B. A study of package inserts in southern India. J Clin Diag Res. 2013;7(11):2475. Munsour EE, Awaisu A, Hassali MAA, Darwish S, Abdoun E. Readability and comprehensibility of patient information leaflets for antidiabetic medications in Qatar. J Pharm Technol. 2017;33(4):128–136. Fuchs J, Hippus M, Schaefer M. A survey of package inserts use by patients. Hosp Pharm. 2005:29–31. Amin ME, Chewning BA, Wahdan AM. Sources of drug information for patients with chronic conditions in Alexandria, Egypt. Int J Pharm Prac. 2011;19(1):13–20. Ahmadzadeh Z, Ahmadzadeh K. Evaluation of readability of patient education sources distributed in Shiraz health centers using Flesch-Dayani. Adv Med Info. 2014;2(3):43–51. Singh G, Triadafilopoulos G. Epidemiology of NSAID induced gastrointestinal complications. J Rheumatol Suppl. 1999;56:18–24. Sulaiman W, Seung OP, Ismail R. Patient’s knowledge and perception towards the use of non-steroidal anti-inflammatory drugs in rheumatology clinic Northern Malaysia. Oman Med J. 2012;27(6):505. Charbonneau DH. Health literacy and the readability of written information for hormone therapies. J Midwifery Women Health. 2013;58(3):265–270. Weis BD. Health Literacy: A Manual for Clinicians. Chicago: American Medical Association, American Medical Foundation; 2003. Arastoopoor S. The Feasibility Determination to Improve Readability Basic Concept in the Field of Specialized Data Recovery in Persian: Case Study of Computer Science. Shiraz: Persepolis; 1391. Flesch RF. How to write plain English: A book for lawyers and consumers. HarperCollins; 1979. World Health Organization (WHO). Top 10 Causes of Death. Geneva: WHO; 2015. Fitzmaurice D, Adams J. A systematic review of patient information leaflets for hypertension. J Hum Hypertens. 2000;14(4):259. Wilcox CM, Shalek KA, Cotsonis G. Striking prevalence of over-the-counter nonsteroidal anti-inflammatory drug use in patients with upper gastrointestinal hemorrhage. Arch Intern Med. 1994;154(1):42–46. Bally M, Dendukuri N, Rich B, et al. Risk of acute myocardial infarction with NSAIDs in real world use: Bayesian meta-analysis of individual patient data. BMJ. 2017;357:j1909. Williamson JML, Martin A. Analysis of patient information leaflets provided by a district general hospital by the Flesch and Flesch–Kincaid method. Int J Clin Pract. 2010;64(13):1824–1831. Ramadas D, Chakraborty A. Analysis of package inserts of anti-diabetic medications in India. Int J Basic Clin Pharmacol. 2016;5(5):2240–2243. Xie Y, Bowe B, Li T, Xian H, Yan Y, Al-Aly Z. Risk of death among users of proton pump inhibitors: a longitudinal observational cohort study of United States veterans. BMJ Open. 2017;7(6):e015735. Basara LR, Juergens JP. Patient package insert readability and design: PPIs produced by associations are better than those of pharmaceutical manufacturers and commercial vendors) but all need improvement. Am Pharm. 1994;34(8):48–53. Beime B, Menges K. Does the requirement of readability testing improve package leaflets? Evaluation of the 100 most frequently prescribed drugs in Germany marketed before 2005 and first time in 2007 or after. Pharm Regul Affairs. 2012;1:102. Al-Aqeel SA. Evaluation of medication package inserts in Saudi Arabia. Drug Healthc Patient Saf. 2012;4:33. Sawalha A, Sweileh W, Zyoud S, Jabi S. Comparative analysis of patient package inserts of local and imported anti-infective agents in Palestine. Libyan J Med. 2008;3(4):1–7. Dayani MH. [A criteria for assessing the Persian texts’ readability]. J Soc Sci Hum. 2000;10:35–48. Persian.